It proved to be quite an impossible task because I was not prepared to spend a fortune on furniture. With a lot of money, nothing is impossible. Unfortunately for me, I don't have plenty so I had to make do with what I find. 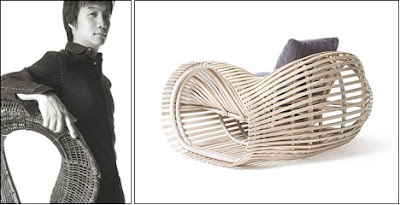 Of course, I would love to have a piece or two from Kenneth Cobonpue but after only a few clicks on the internet I realized that his furniture are out of my league. sosyal ka Cathy kung may cobonpue ka!